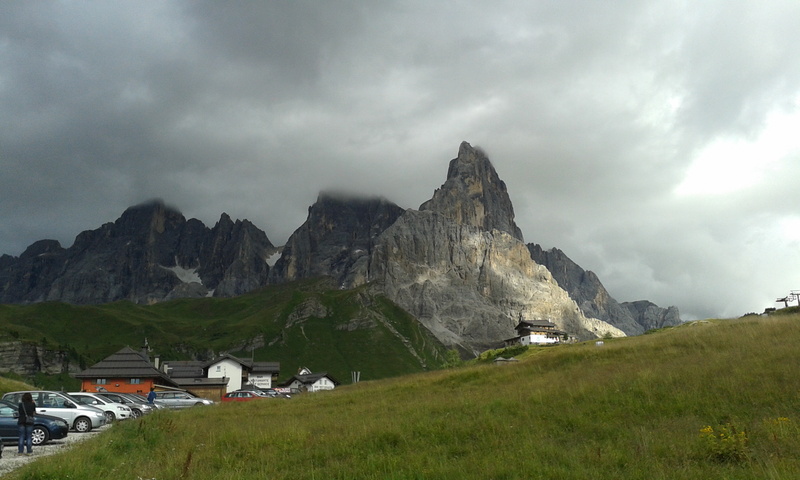 The last week or so I have been based in Ziano Di Fiemme (at the lower end of the Dolomites close to Bolanzo) along with the rest of the NZ mountain running team. Jonathan Wyatt and his wife Antonella live and train here and have been showing us the ropes. Several members of the team have been here before, but for a few of us like myself its been really cool to stay up here in the Mountains and getting some training in at altitude and in the mountains. We have been out running with Jono mid morning most days, up and around his favourite circuits and to some really awesome locations. Jono is still a very strong runner, still at the top of his game in the European Mountain running scene, and I think he would still be just as fast if not faster than anyone in the team. Running up quite high in the Mountains! 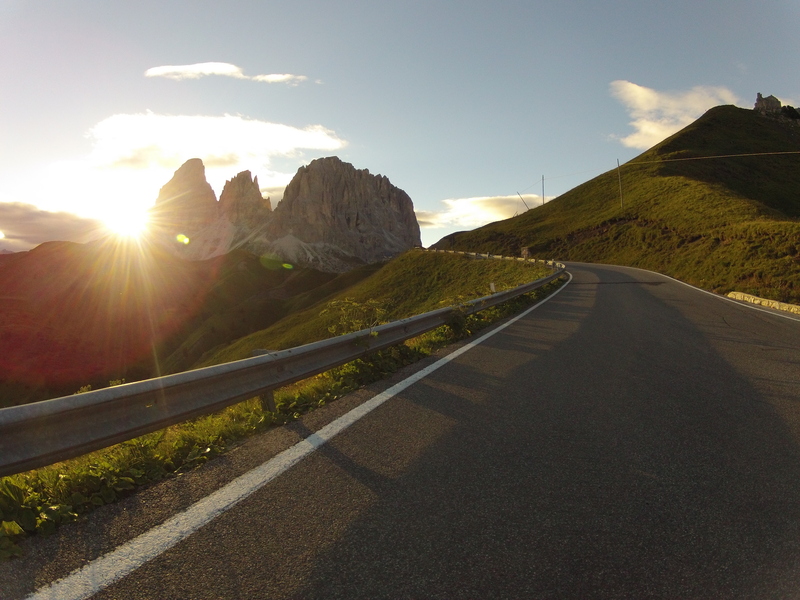 The afternoons have been filled with sight-seeing, coffee drinking (for those who enjoy coffee) and just like running anywhere up hills, trying to keep up with Jono driving around the windy Dolomite roads! 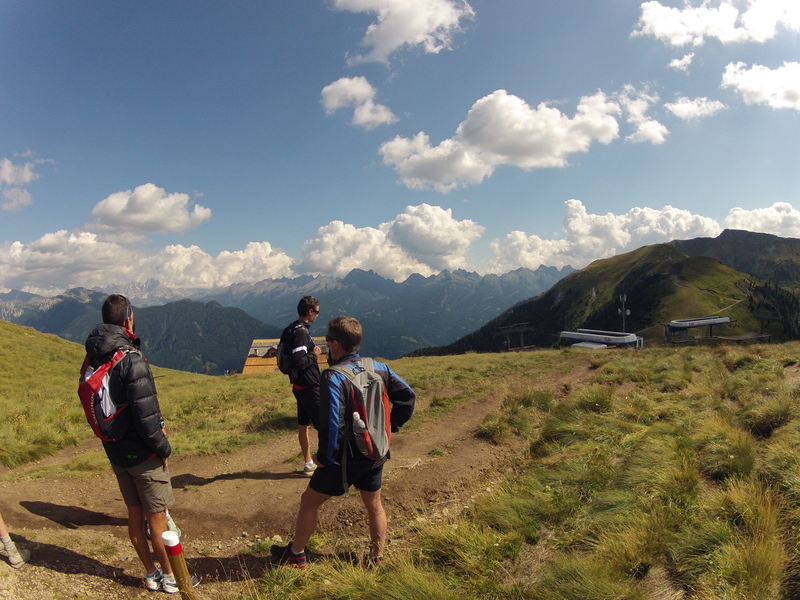 Highlights so far include a visit to Passo Rollo (NZ JWOC team 2009 will/should be familiar with this area!) 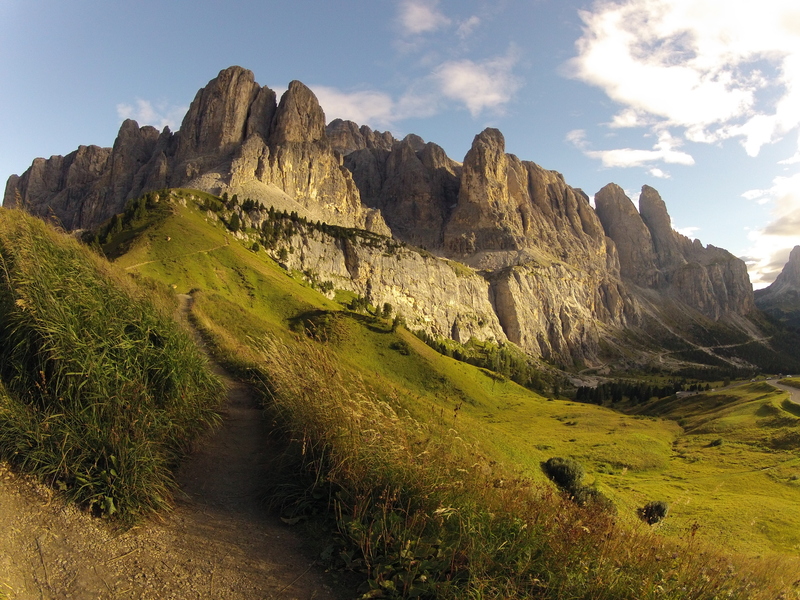 Picnic in a valley up behind Ziano, trip to the Iceman Museum in Bolzano, Gondola and chairlift ride to 2600m and an afternoon circumnavigation of one of the more spectacular areas of the Dolomites. Interesting mention goes to the Messer Mountain Museum inside a castle above Bolzano/Bozen… The castle was cool, but I’m not sure about the Tibetan influence on the exhibitions around the place. The mountains here are a little bit different to New Zealand being much higher and much more accessible. There are gondolas perched everywhere, tracks everywhere, but even though there is lots of people out and about it doesn’t seem to be overcrowded and you can still find yourself completely alone in the mountains. I do a bit of training in the mountains back home so its almost like training back home but there is definitely opportunities everywhere for some more extreme missions – pity I’ve got the World Champs to think about! We have seen some photos of the terrain in Poland and unfortunately for me it doesn’t look overly technical. Comparing myself with the others ( Predominately Northern SI’ers or North Islanders) I am a bit faster on downhills and across technical (interesting) terrain. Uphills I am finding that I am reasonably strong but not super fast. Everything seems to be falling into place, and its just a bit of fine tuning for the next week ahead, my last week as a full time athlete this trip. So we head to Poland tomorrow (4/9/13) and then Sunday is race day!